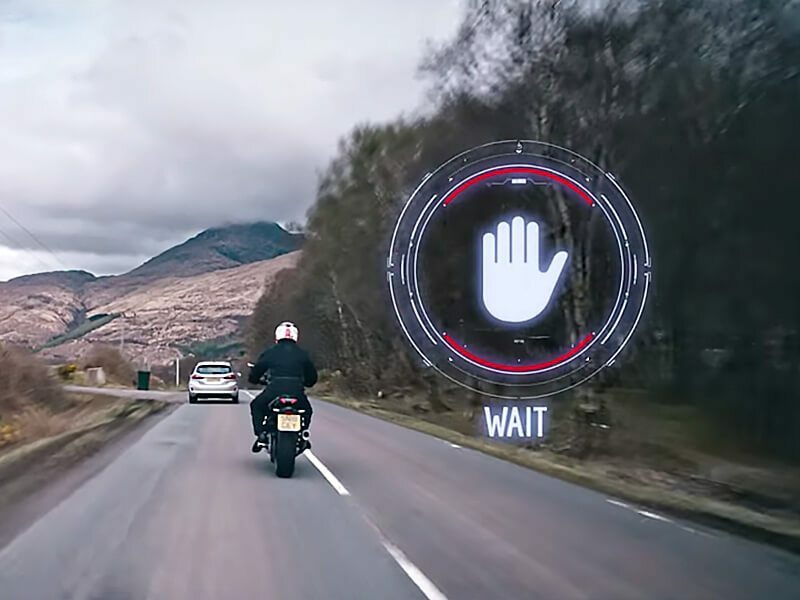 There are many hazards for motorbike riders, so we’ve pulled together some useful video guides for everyday motorbike riding. Whether it’s tackling bends or overtaking safely we’ve got some tips and techniques to help you ride safe on a motorbike. Here are some basic precautions you can take so that you live fast and die old. It goes without saying that wearing a helmet can reduce your risk of a serious injury or fatality during a fall or collision. Make sure it fits properly and look for the Government’s SHARP rating system. You’ll need either summer or winter gloves. Make sure your summer pair still offer good abrasion resistance and your winter pair offer good protection from all of the elements. Good leather boots will help protect your ankles and feet in an accident. Make sure they are at least 2.5mm thick, have a strong sole, and are waterproof too. You must wear a good quality jacket and trousers – whether that’s leathers, Cordura (body armour and thermal lined), or reinforced ‘casual wear’ (a mix of denim and Kevlar). With different weights available for summer and winter – it’s important you pack for the weather. Saying that, Scotland’s weather isn’t the most predictable so if you’re travelling decent distances at any time of the year, we recommend layering up. Always ride within your capabilities and at a speed that’s appropriate for the road, weather and traffic conditions.